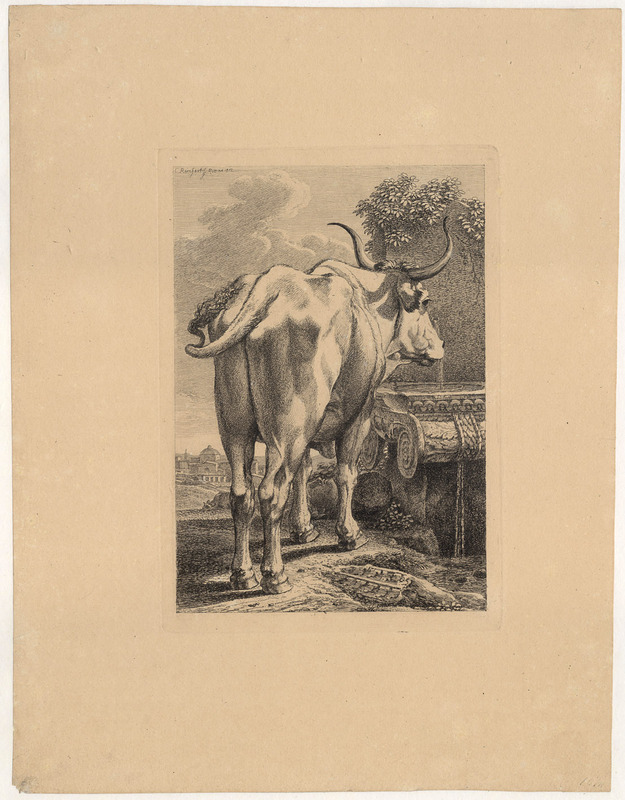 “Der Stier vor der Fontäne” (The bull in front of the fountain), 1812, from “Die zweiteThierfolge” (Second series of depictions of animals). 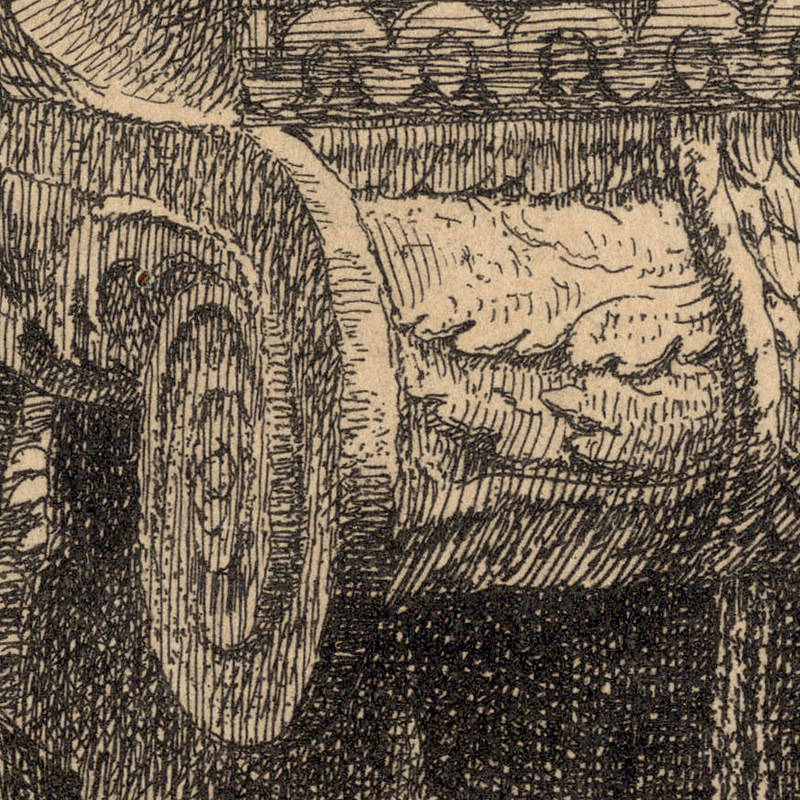 Etching on buff coloured laid paper with wide margins (as published?) lined onto an archival support sheet. 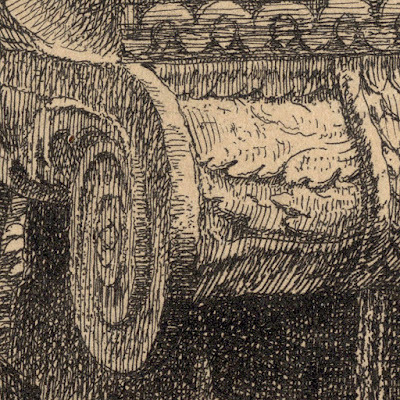 Inscribed on the plate within the image borderline at upper left: “C Reinhart f[ec] Romae 1812”. Andresen 1878 132 (A Andresen 1878, “Der Deutschen Maler-Radierer des 19 Jahrhunderts”, 5 vols, Leipzig). 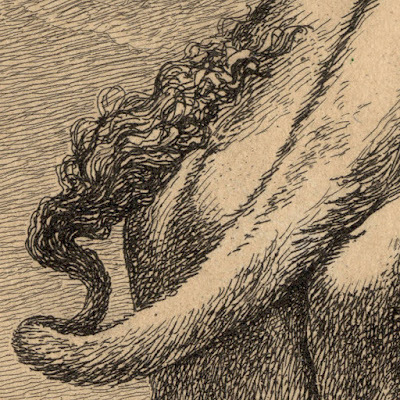 See also A Griffiths & F Carey 1994, “German Printmaking in the Age of Goethe”, exhib. cat., BM, London, pp.142–50, nos 92-8. Condition: superbly crisp impression in excellent condition (i.e. there are no tears, holes, abrasions, stains or foxing but the lower left corner is chipped and there is slight unevenness to the colour of the sheet). The sheet is laid onto a support sheet of washi paper. 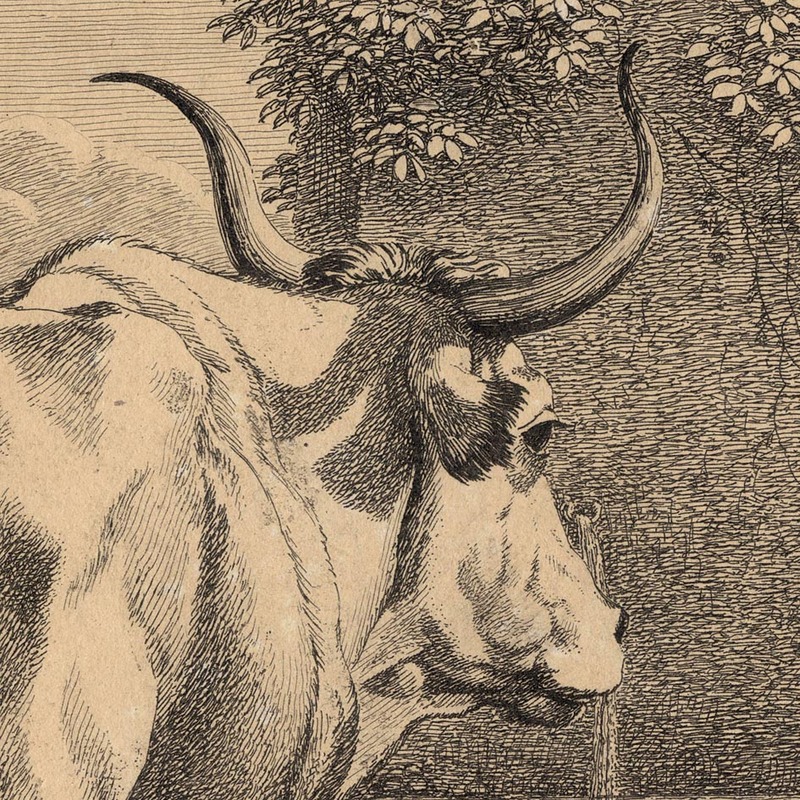 I am selling this important etching showing a break from the tradition of the heroic landscape of Claude Lorrain (note the portrayed fountain with its reference to the classical past) and an inventive reconnection with this tradition through close examination of natural phenomena (note the attention to detail in the treatment of the bull) for the total cost of AU$210 (currently US$163.50/EUR136.96/GBP121.66 at the time of this listing) including postage and handling to anywhere in the world. If you are interested in purchasing this beautifully executed etching exemplifying German romanticism at the dawn of the 19th century, please contact me (oz_jim@printsandprinciples.com) and I will send you a PayPal invoice to make the payment easy. 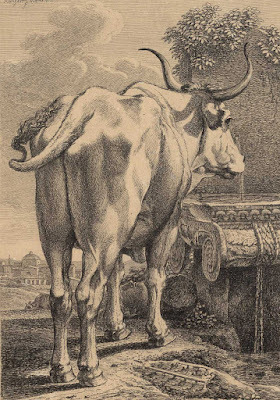 This may look like an everyday scene of a bull about to have a drink from a fountain, but it is much more than this. In fact this seemingly simple composition is full—“stacked to the rafters” as we say in Australia—with references to past traditions of composition, choice of subject and how the subject matter is rendered. 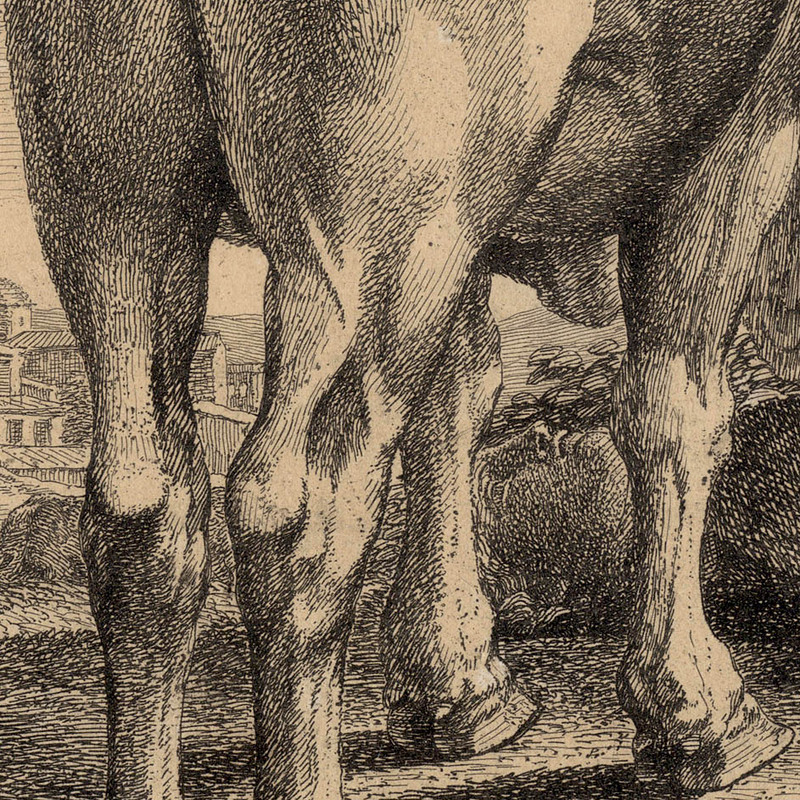 In terms of the composition, note that Reinhart has chosen to depict the bull from slightly lower than eye level. This is not accidental. 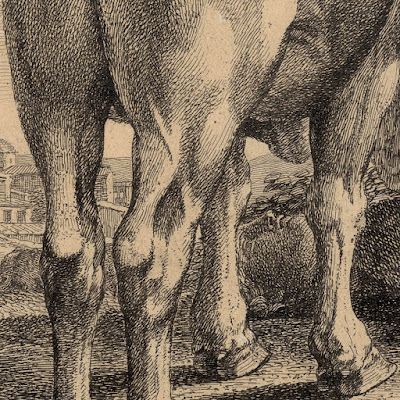 The longstanding tradition that Reinhart is referencing with this low viewpoint is that of depicting landscape and its animals as “heroic” (i.e. out of the ordinary in the sense of noble and special). 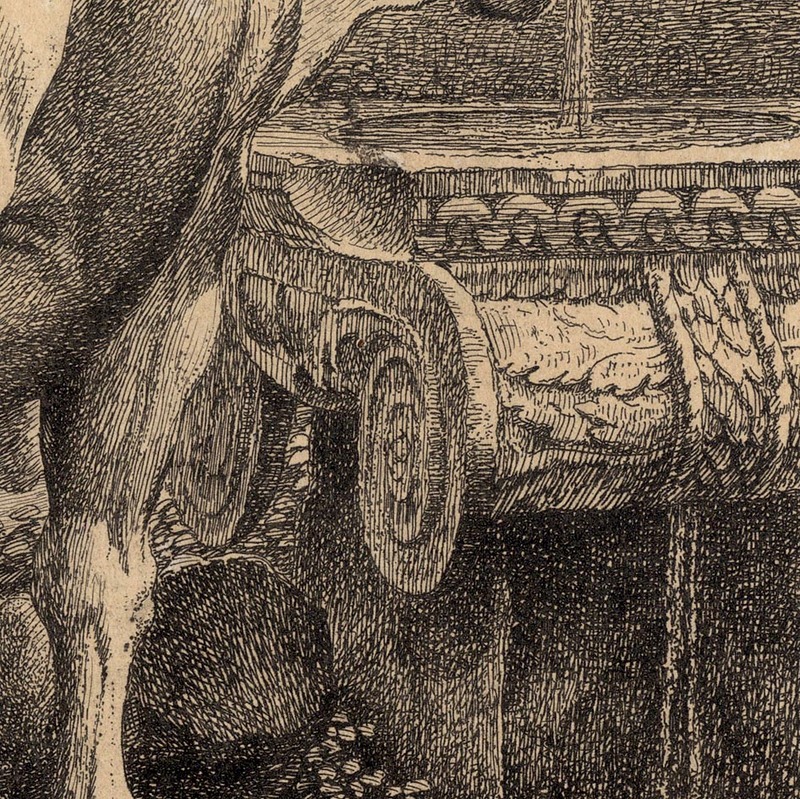 Regarding the choice of subject, note that Reinhart has chosen a classical column capital as the base for the bull’s drinking fountain. Again this is not accidental. 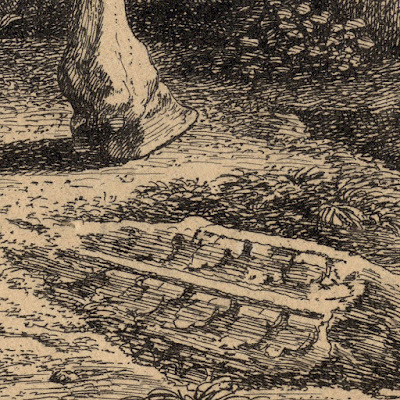 Here, Reinhart is referencing the classical landscapes of artists like Claude Lorrain, Nicholas Poussin and Gaspard Dughet that feature antique ruins. 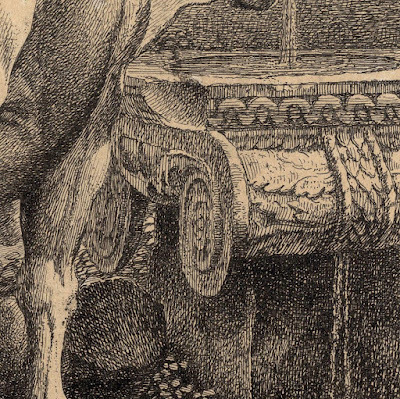 Even the way that the bull and the fountain are portrayed is significant. For example, Reinhart has employed raked lighting so that the contours of the bull are pictorially explained with little or no ambiguity. Importantly, the angle of this lighting also suggests a time of day when the poetry of the scene is heightened. Essentially what Reinhart is examining in this scene is a visual weaving of close observation, aesthetic conventions and a fresh poetic vision.